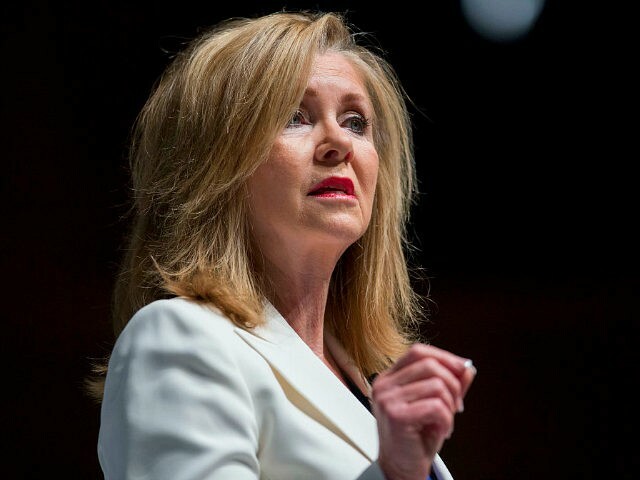 Congresswoman Marsha Blackburn told Breitbart News that she continues to have productive conversations with House Energy and Commerce Committee Chairman Greg Walden (R-OR) as well as Congressman Bob Latta (R-OH), the chairman of the Digital Commerce and Consumer Protection Committee, regarding future legislation that would impact social companies such as Facebook, Google, and Twitter. “Yes, we have had some good conservations this week. Chairman Walden and I have had some good conversations about how we move forward as well as with Congressman Latta,” Blackburn told Breitbart News. “We are focused on making certain that we look at these violations and make certain that we schedule the proper oversight and proper hearings; we want to be certain that they don’t censor conservatives,” Blackburn added. Former Federal Communications Commission (FCC) Wireless Bureau Chief Fred Campbell contended in an exclusive interview with Breitbart News in April that Congress should repeal the Safe Harbor provision. Campbell said that Section 230 allows for Google and Facebook to censor at will. In a new report, as many as 14 million Facebook users may have had their private data exposed through a software bug. Congressman Blackburn, who is running for the U.S. Senate, said that these scandals underscore the need for data privacy legislation. Blackburn then suggested that Facebook and Google’s subjective algorithms, as well their move to hire thousands of content managers has led to Silicon Valley’s rampant censorship of conservative and alternative voices. Hungarian Identarian leader Abel Bodi was suspended from Facebook on Thursday for sharing a Breitbart London article that reported on his detainment and deportation from the United Kingdom this year. Rep. Blackburn even had one of her campaign ads blocked on Twitter last October, in which she touted her pro-life beliefs and her opposition to selling baby parts. You’ve got Facebook Twitter and YouTube and they employ thousands of content managers and content monitors and those are people that live in California, and maybe have a more liberal bent, and they are subjective in how they manipulate those algorithms. That was my question to Zuckerberg: “Do you subjectively manipulate your algorithm to prioritize, to throttle, or block specific content?” His response referenced terrorism, and as I pointed out, Diamond and Silk were blocked, and they were not involved in terrorism. The Senate passed a Congressional Review Act (CRA) resolution in May, that if signed by President Donald Trump, would restore the Obama-era net neutrality regulations. Blackburn said that vote emphasizes the need for net neutrality legislation that codifies the principles of a free and open Internet and establishes one set of rules for Internet Service providers (ISPs) and edge providers such as Facebook and Google. It says that we are not going to put the Internet under the 1934 Ma Bell rules. The 21st century Internet needs 21st-century rules. It also points out that the American people agree with us that you need one set of rules for the entire Internet ecosystem, whether it’s your Internet service provider, or your edge provider, to govern your privacy, to have your notification for data security for data breaches things of that nature. We are working to push forward the Open Internet Preservation Act that would codify no block, no throttle, and we will set prioritization aside for a deeper dive and that’s the reason why. At a rally in May, President Trump slammed Blackburn’s Democratic opponent, former Gov. Phil Bredesen, labeling him an ally of Senate Minority Leader Chuck Schumer (D-NY). “Chuck Schumer has said that Phil Bredesen is his top recruit and that his road to the Senate Majority Leader runs through Tennessee,” Rep. Blackburn added.